Does your car have vats? I'm not sure. How do I tell? The car came with remote start (aftermarket alarm) so I don't know if it was disabled or not. Is there a way to find out? Or a way that I can disable the prom? If you have a chip in the key, it has vats. Anyhow. If you need vats disabled, you need to burn a new prom and you will need a memcal adapter unless your a pro at soldering. For $35, it's best to get he adapter. Oh then yes I do have VATS. Do I still need an adapter or burning? If so where do I get an adapter from? And does that mean I have to fork over the 150 to get my chip burned? It should 'just work', however in my re-pin diagram I did not take vats into consideration. You will need to move that wire to the '730 ECM or your injectors won't fire. What pin number is it on both? From what to what? Great thread, I plan to swap over to TPI soon. I picked up a 01227730 Prom from a 1990 Camaro Iroc 305 LB9 but just pocketed the prom/memcal since they want $40 for the whole box and thats a bit much for me right now since its not 100% that a friend will get another tpi car at his yard soon. He would let the whole intake with injectors go for under $50. I noticed that some got the box from other vehicles, what other cars ecm box will work? Any complete list? Maybe my friends yard has the box, would the connectors be the same? 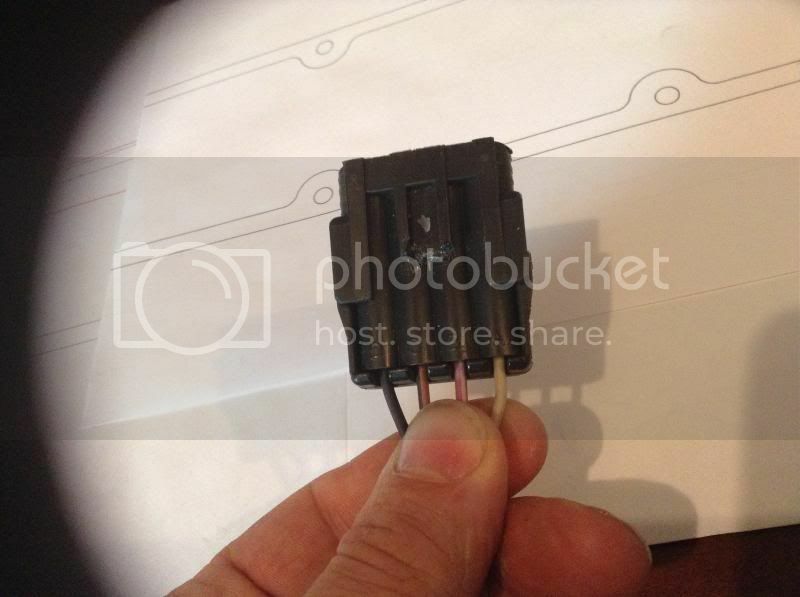 Or should I go grab the connectors off the 1990 Iroc. Another Q is basically about the plenum, I noticed on SD plenums it has a bracket, Do I need to get a SD plenum or is it just basically a regular plenum with a bracket friendly hole? I might go get the injector connectors this weekend if they are of use later on. Aight I am able to pick up a 88 Tpi setup minus Runners for $65. Its going into a L05 350, I have the ecm covered and wiring, I figured the L05 and L03 are the same intake wise since the Performer TBI was interchangeable with the old L03. Any problems here or should I go for it? Its a 9 injector tpi setup from a 88 like I said. A quick answer would be great, you guys have very helpful with all the info found in this thread. i just bought a 1990 SD LB9 yesterday for $300 with serppentine acc. and all , new alt. and dizzy cap . PO said he removed engine @ 100K miles , if my 88 LO3 does not have vats and the LB9 was from a vats car would this create any issues ? yea it wont fire the injectors. the vats sends a ?30hz ground signal to the computer to tell it to fire the injectors. has to be disabled if it has it. Anyone ever notice the '165 and '746 is almost identical pinouts? Only a few wires need moving/hooking into the ESC to convert to MAF. I probably just missed it in here but can anyone tell me what other GM cars the '730 computer came in? I can only find the older v6 camaro's around here. I'm not in a good 3rd gen parts area. I tried some of the 3800 series buicks, but it's a different number and totally different look. They were mid 90's cars. Thanks Guys! alright i hate to say this but i am confused, i know that the pins go with a letter assigned left to right, top left is a1 and top right is a12 etc etc but on the diagram posted its showing like BC and letter combos... what am i missing here???? BC2 would be C2 on the '730. Hi anesthes, I am doing a similar swap with a 1991 RS tbi (with a poorly swapped 350) to a 1989 TPI MAF system. 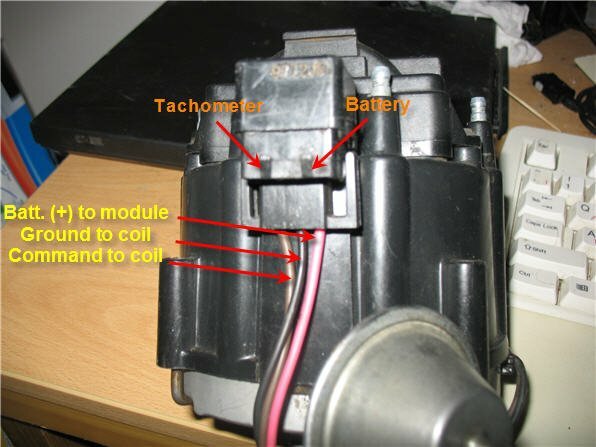 Do you know how to convert the TBI harness to work, or someone who does? Would it be easier to use the TPI harness i have? TPI_327_77_MARO did this on one of his vehicles just recently. He wrote a pinout chart for it. Perhaps a PM to him and he'd share it in this thread. I appreciate your help, however i could not find that member anywhere on here. my main question is do i use the second pin out you have on the first page and do i use the ecm i already have or the one you recommend and also i have bought slp runners and a 58mm throttle body should i run bigger injectors and intake i plan on gasket matching and port everything? and should i run a map or maf tpi? i no im asking a lot but i cant get straight answer every one i ask keeps telling me one is better than the other. and i want to keep it emissions legal in utah. You should run MAP. What ECM is a '90 ? Is it a '747 ? If so the first chart should be really close. Another thing you can look into as well is an EBL, if you have not already picked up a '730 ECM and memcal. By the time you pick up an ostrich, a ALDL adapter, ecm, and memcal you might be within $50 of just buying an EBL. ok so is the EBL a plug and play and then i can adjust everything as i go and what one would you recommend. and from what im seeing i would have to straight wire it to the ecm instead of changing the connectors. i really want something that i dont have to play with but if this is what i have to do ill do it. and from what i learned 25 or 30 pound injectors are what i need? and im sure ill need a fuel pressure regulator also right. 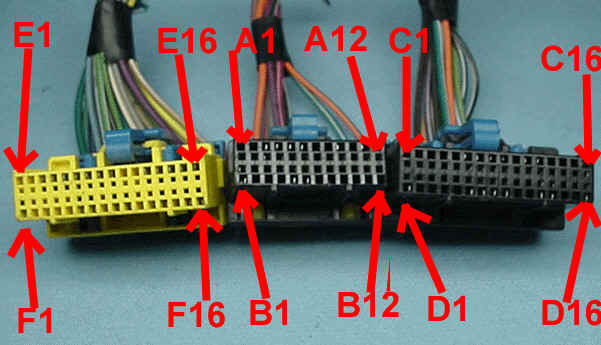 OK, so I'm staring at my 730 ECM plug & computer from a 1991 Z28 thinking I'm an idiot because I can't find any designations "GExx" or "BDx" ~ all mine are labeled with a single letter A, B, C, D, E or F. No double letters at all. Is this something strange I'm dealing with? PLEEEASE help me because I'm running out of summer to enjoy my car! EDIT: So, we guessed that the first letter was to be ignored and matched everything up to a good schematic. I'm still having trouble figuring out some of the wires that don't exist from one harness or the other. What do I do with them? Last edited by 1991_RS; 07-01-2012 at 06:52 PM. Yeah ignore the first letter. I labeled them that way because that is how they are labeled in the FSM. Wow, I feel dumb lol now for my final potentially stupid question ; if I am doing a speed density swap using a speed density harness can I follow this table still to make my 89 interior harness work with the speed density harness? I feel the answer is yes but i want to be sure on it. And as the previous poster asked what do you do with the wires that are left over? I know a few switch over, do I just isolate and heat shrink any left overs? Don't feel dumb - I've been wondering the same thing all along. I've got the harness from the engine and have spliced in the firewall connector (below the brake booster) but there's a couple wires I don't know what to do with. One, in particular, is a medium-gauge red wire. Doesn't have anything to match it to. Since most of the time, Red is hot, does that get wired to the battery? Also, I've been posting on another re-pin post - how do I deal with the clear-white connector under the passenger side dash (the one that's just off the ECM)? They're labeled A-R with a few letters omitted. Are you using a harness that was not original to your '89? It's been a while since I've swapped a complete harness. I'd have to look at one of mine for reference. Last edited by BluFBdy; 07-05-2012 at 01:36 PM. BluFBdy - I got my hands on some schematics of these harnesses. I'm rather committed to the TPI harness at this point, since it's spliced and installed (although I'm still trying to work out bugs). From what I see on the schematics, the TPI is a batch-fired system - meaning that it fires all the injectors on one side together (not like the sequentially fired ones of today that fire injectors individually). This is what was confusing me about using my old TBI harness. I couldn't understand how 2 injector circuits would work with 8 injectors. NOW, I get it - I just wish I could have figured that out earlier. Anyway, I think, based on what I've read on TGO and in the diagrams, if you re-pin the TBI harness to work with your ECM and add the pigtails for the 8 injectors (that should be your only major splice to the harness), you're probably pretty close to turn-key ready. I'm giving it a little more time due to my situation before I give in and buy a new (used) TBI harness. Since I cut my old one up to make the TPI one "work" (yeah, THAT went well...), I don't have that one to fall back on. Let me know how it goes. Post any miraculous revelations you come across, please! I just grabbed 8 injectors connectors at the wreckers for EV1 injectors. Question is...what color wire is negative on the TBI injector harness, what color is positive, and which color wires do they go to on the injectors? wire colors for the 746 ecm. I did look at post 2, but it doesn't give you wire color. I'm not swapping out computers or repinning, just putting in the injectors on the TBI harness. There is a guy in town here that makes this swap work well. The injectors I grabbed have a brown wire, and a brown/black wire. My guess is brown/black should be ground. Just wire the staurated injectors in parallel four on ecm driver. Will this be the same for a 16146299 ecu? No problem, I have a 92k1500 and never wanted to be on a road trip with a odd ball ecm so I did a comparison and swapped in a 747. I hate to bring this up again but I don't understand what the above post means. I have a blue,red,green, and white wire from my TBI harness. I'm sure white and green go to one side and blue red go to the other side. Question is which side does each set go to? I think from reading original ( post#2 I think) it says something about positive/ground doesn't matter but I would think the right side/left side matters. I'm not very good at schematics. Could someone give me a"dummy" explanation? Also, since I bypassed and deleted the ESC by connecting terminals C and E, now the 4 prong plug that went to the TBI dizzy is useless and I just adapt the red and white wired coil plug to fit my TPI/HEI/internal coil dizzy right? Last edited by gbettner; 06-24-2013 at 08:54 PM. The white and red are fused hot wires (tbi), The light blue goes to (c11) is bank 1 ground to the ecm. The light green (c12 ) is bank 2 ground to the ecm. Last edited by Tuned Performance; 06-24-2013 at 09:04 PM. the dark green wires on the tpi injectors all connect and hook to the tbi harness dark green wire. The white wire of the tbi will hook to the pink wires on one injector band . The red wire from the tbi will go to the other bank. The flat 4 connecter will need to be changed for the coil in cap. the pink and white wire coming from you harness that use to go to the coil will goto the side of the hei. The pink is accessory power. The white wire goes next to it tach. WOW! Thanks man! That was VERY helpful. I owe you one. I have the old plug for the old dizzy/external coil ( that I'll tape up since not used anymore) with the wire colors of the flat 4 connector you took the picture of but I haven't located a connector like what you show in your pic yet. I'll look some more when I get home from work today.